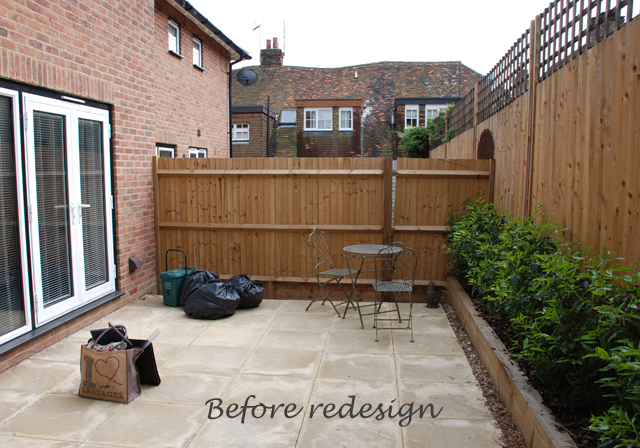 I have recently been working with a client in Bletchingley who has downsized and moved into a small property with a tiny courtyard garden. 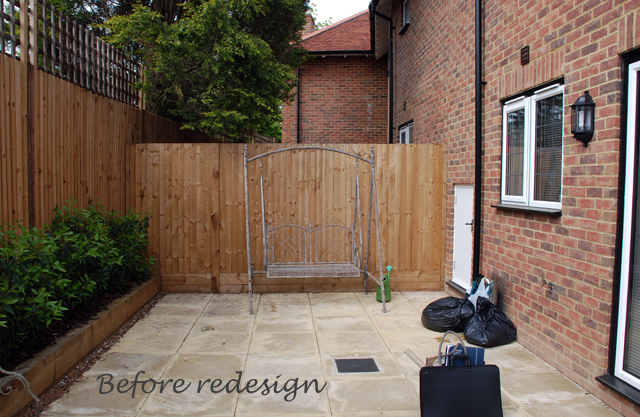 As is often the case with new-build properties, the garden is pretty uninspiring and they wanted some help to create a space that they really felt inspired to spend some time in. 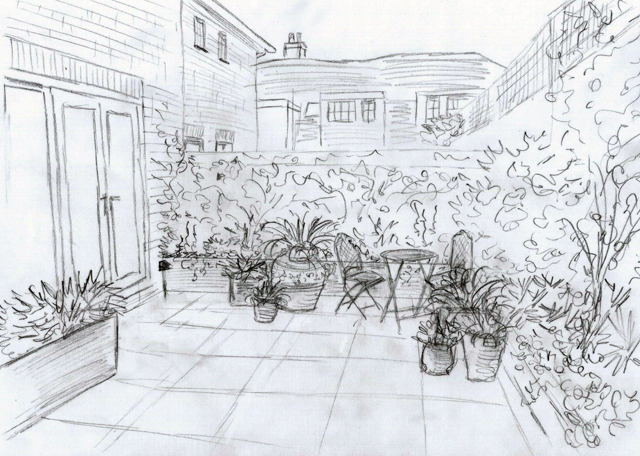 As the only access to the garden is through the house we have approached the design almost as you would a roof terrace. Large bespoke planters will create enough planting space to allow us to cover the fences with climbers and scented roses – the idea is that there will be waft of scent when you step out. They already have a swing seat and bistro table and chairs to incorporate and we’ll also introduce a selection of different shaped pots to bring more interest and texture and to help to zone the areas a bit. The existing raised sleeper bed will be replanted with softer and more interesting shrubs and again the fence will be covered with climbers that provide interest throughout the year. 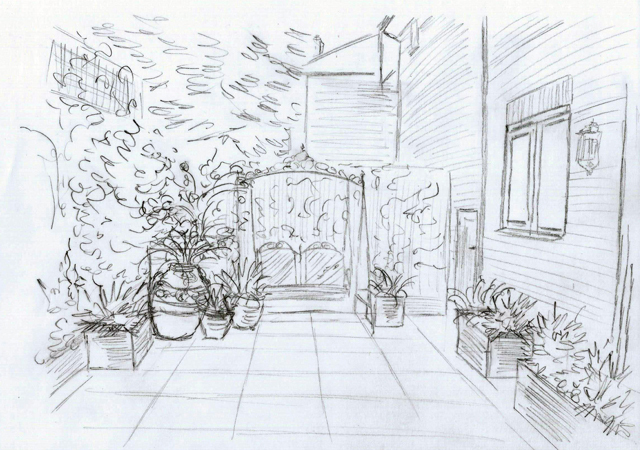 The planters are on order and I hope to plant them up in early June – I’m looking forward to seeing this garden when it truly comes to life…in a year or so!